Hanukkah, that Jewish holiday where they make silly music videos and eat all kinds of foods immersed in oil. If you have never tasted deep-fried sufganyot (i.e. special jelly doughnuts) then you must. However, apart from sufganyot, what are some familiar sights you will see? Well, if you are in Israel, or at least in a densely populated Jewish neighbourhood, then you will see decorations, people shopping for gifts, hear the music of the Maccabeats, see dreidels for sale, and lots of cheer…plus we cannot forget tasty pastries. The other most notable sight is the Hanukkiah (candelabra with nine stems) in the window’s of people’s homes. The middle candle is called the shamash or the ‘servant/attendant’ candle and that is the one that lights all the others. 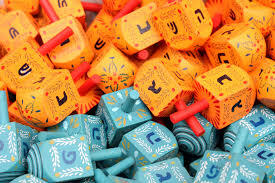 The festival of Hanukkah, otherwise known as Festival of Lights or Dedication, always begins at sundown and is celebrated for eight days with an extra candle being lit each night as the holiday progresses. Thus, by the eighth day of Hanukkah, you will have a glowing Hanukkiah with nine burning lights (which naturally includes the shamash which always burns). 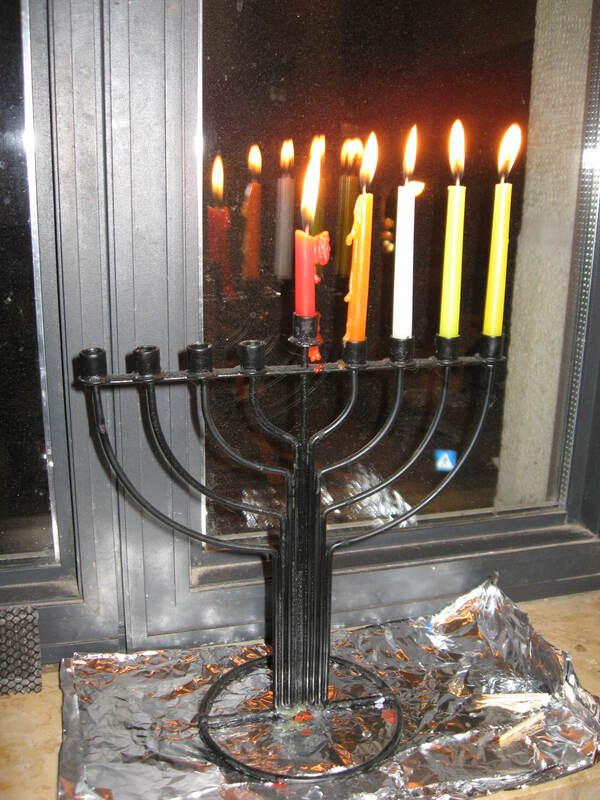 The lighting of the first candle begins on the far right of the lamp stand, and then for every new day an extra candle is added moving towards the left down the Hanukkiah. When lighting the candles one progresses from left to right as new candles are added. There are three blessings (brachot) which are recited the first night when lighting the first candle, and then all the other seven nights only two blessings are recited for the lighting. But why do Jews light candles in the first place? What are the origins of Hanukkah and why do they love to cook things in oil? To answer this question we must go back to the year 167 B.C. where the land of Israel was under the control of the Seleucid King Antiochus Epiphanes IV. At that time, Antiochus was attempting to strengthen his realm, against fears of the growing power of Rome in the west. So, Antiochus created edicts and laws that everyone living in his empire had to adopt Hellenism (Greek ways and lifestyle, which also meant they had to accept pagan gods). Antiochus did not foresee this as a problem, for everyone living in his kingdom worshipped multiple gods to begin with, that is everyone but the Jews. Some Jews, who were Hellenized, accepted the king’s laws, for they would rather be Hellenists than oppose the king. But many Jews in the Satrapy of Judea resisted. Thus, a full-scale persecution erupted where it was forbidden for Jews to go to the Temple to worship the God of Israel, read and study the Torah, circumcise their sons, pray, and meet together for worship. Anyone caught doing this was imprisoned, tortured, or murdered. Jews were burned alive in Jerusalem, women were hurled from the walls with their infant sons, and the populace was terrorized. In an effort to flaunt his authority, Antiochus sent his Royal Emissary, Apelles, to Jerusalem and on the 25th of Kislev an image of Zeus (depicted in the likeness of Antiochus for his name Epiphanes meant God-manifest) was erected in the Jewish Temple and a swine was sacrificed on the Burnt Altar. Along with this, Apelles was instructed to travel to all the villages of Judea and force the Jews to erect altars to Zeus and sacrifice swine upon them as a sign of loyalty to the king. Needless to say, this did not bode well for the Jews. When Apelles, and a small guard of Seleucid mercenaries, arrived in the village of Modiin he met with the village elder, a priest named Mattathias ben Yohannan. Now, Mattathias had five sons: Johanan, Simon, Judah, Eleazar, and Jonathan and they were all devout men. Apelles instructed Mattathias to assemble the village in their best clothes, build an altar, and sacrifice a pig. Mattathias obeyed…but only partially. He assembled all the inhabitants of Modiin in the village center but then refused to build the altar or touch the pig. Apelles forced the inhabitants to build the altar (or had his own men do it) and then began to threaten Mattathias to kill the pig himself or all hell would break loose. Mattathias staunchly refused and before things could get out of hand, a Hellenized Jew offered to make the sacrifice. Upon seeing this, Mattathias rushed the altar, killed the Hellenized Jew and killed Apelles. 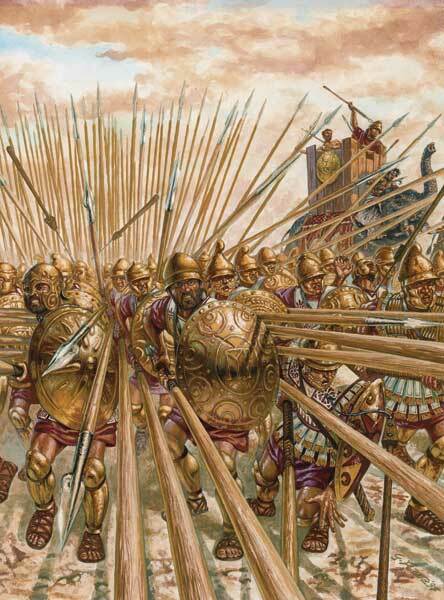 After that, the entire village attacked the Seleucid guard and slaughtered them all. Then, Mattathias said, “Whoever has zeal for the commandments and Torah follow me.” The Jews of Modiin fled and created a mountain base in the Gophna region. Thus started the rebellion. Shortly after this, Mattathias took ill and died but the mantle of leadership was passed to his son Judah, who became known as Judah Maccabee or Judah the Hammer. There are slight interpretive differences on the exact meaning of Maccabee but we will stick with the common interpretation, ‘Hammer’. Once Judah was in charge, he set about staging a full rebellion. Mustering together the villages of Judea, they raised hundreds of volunteers who would fight with them, and soon the Jerusalem Seleucid garrison could not repel the revolt. Judah and his men, who became known as Maccabees, became experts in the craft of ambush, and began to slaughter Seleucid patrols on the roads in the hill country. Eventually, Philip, the commander of Jerusalem, had to beg for help from the Governor of Samaria, a man known as Apollonius. In an attempt to squash the revolt, Apollonius march a force of 2,500 men directly south towards Jerusalem. Judah and his army, which numbered less than half of Apollonius’ force, ambushed him among the hills, managed to kill him and wipe out his army. After that, in the year 166, a general named Seron marched to relieve Jerusalem with 4,400 men. He to failed and was killed with his army scattered and defeated. Once word reached Antioch, the king’s Viceroy Lysias, issued strict orders for the Maccabees to be crushed. These orders were given to three generals named Nicanor, Gorgias, and Ptolemy. The king was campaigning in Parthia, and Lysias wanted the Jewish rebellion wiped out immediately, so Nicanor and Gorgias took a force of 22,000 men, with Ptolemy directing the campaign from his new governorship in the city of Ptolemeus. Nicanor and Gorgias marched south along the coast and then struck inland where they set up a major fortified camp near Emmaus. From there, they scouted the land and discovered a second Maccabee base near Mizpah which was not far away. So, Nicanor and Gorgias conspired, and Gorgias came up with a plan for them to divide their forces. He would march on Mizpah, surprise the Maccabees and defeat them. Nicanor naturally liked the idea and Gorgias set out with around 10,000 men. Now, at Mizpah, Judah Maccabee caught word of what Gorgias was doing and so he took his 6,000 men and abandoned the camp, however not before making it appear as though they were still there. Then he moved through the darkness with his army and journeyed through the hills until he arrived before the Emmaus camp and Nicanor’s slumbering army. Judah then gave orders for his army to form up, and at first light they attacked. Through a heavy battle, Nicanor was defeated with 3,000 casualties and his men fled to the coast. Judah was triumphant and then he had his men plunder the camp before setting fire to half of it. Once this was complete he waited for Gorgias to return. Now, during the night, Gorgias came upon the Maccabee base at Mizpah, and seeing the torch-light and camp still set up, took the bait and attacked it. However, when he found no Maccabees he assumed they had fled into the hills at the news of his approaching army. So, Gorgias gave chase and spent all the night pursuing a phantom. Finally, by morning, an exhausted and angry Gorgias decided to return to Emmaus only to find the Maccabees in possession of it and Nicanor defeated. With that, Gorgias retreated in shame. Once this news reached Lysias he knew the only way to defeat the Maccabees was for him to personally lead the next army. Thus, he set out raising a large force between 40,000-45,000 men. He marched from Antioch in the spring of 164 and decided on a different route. He headed south, skirting past Samaria and Judea and then struck into the lands of Idumea. Then he turned east, marched his force inland and towards Beit Zur with the desire to head north and approach Jerusalem from the south. His reasoning was simple, the Maccabees had not been operating that far south, would not be comfortable in those lands, and the land was filled with pro-Greek cities loyal to the Seleucid kingdom. If Lysias could get to Jerusalem, he could relieve the garrison, strengthen his army and then set out into Judea with calculated heavy assaults and destroy the Maccabee uprising. However, Judah knew this all to well and leading a force of 10,000 Maccabees he managed to ambush Lysias, slaughter 5,000 of his men and scatter them. Lysias then decided to retreat and Judah marched his army to a vulnerable Jerusalem. When Judah arrived at Jerusalem, he found the local Seleucid garrison hemmed up in the Akra (a large Seleucid fortress within the city walls next to the Temple Mount) and so Judah and his men strolled into the city and captured it. When they ascended to the Temple Mount they found everything in disrepair and after ordering ritually pure priests to cleanse it, he had the profaned altar rebuilt, the image of Zeus torn down and destroyed and the Temple rededicated. The legend goes that they only found enough oil to light the great Menorah for one day, yet it would take them eight days to make more oil and the great Menorah was supposed to always burn continuously. So, in faith, they lit the Menorah and it burned miraculously for eight days until they could make more oil. 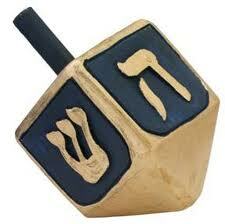 This is where the story of Hanukkah and this is why oil is so important and the eight days of celebration. The Jews celebrate Hanukkah as God’s redemption of His people from tyranny and the freedom that was gained through their struggle. Through the line of the Maccabees, the Hasmonean dynasty was planted, which brought about nearly 110 years of Jewish independence before Rome came in and conquered the land. This entry was posted in Ancient Warfare, Greece, Greek, Hellenism, Israel, Jews, mythology, Rome, Seleucids and tagged Antiochus, Apelles, Apollonius, Emmaus, Epiphanes, Gorgias, Greek, Hanukkah, Israel, Jerusalem, Jews, Judah, Judea, Lysias, Maccabee, menorah, Nicanor, oil, Rome, Seleucid, Seron, Zeus. Bookmark the permalink.